CDR Maguire completed the final design of two bridge replacement projects as part of the PennDOT District 4-0 Design/Build Emergency Flood Projects in Wayne County near Scranton, PA. 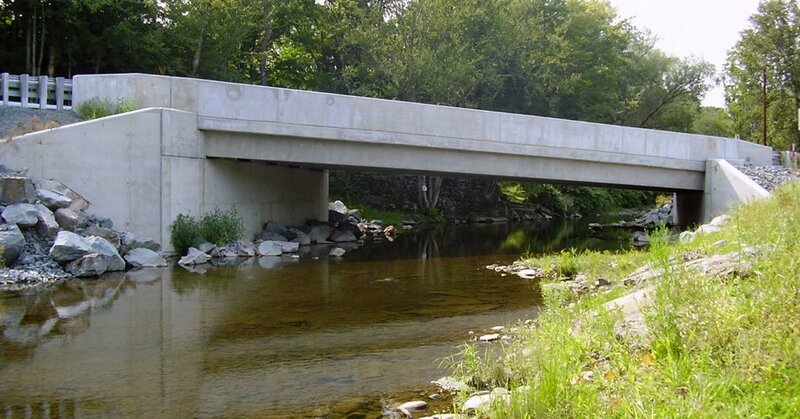 Both projects, SR 0170 (67-ft. span) and SR 0247 (102-ft. span), involved the design of prestressed concrete box beam structures over the West Branch Lackawaxen River, replacing structures damaged by flooding from Hurricane Ivan in 2007. CDR Maguire also prepared permits for each structure. The accelerated design phase for the $3.5 million emergency replacements were completed in three months.